While Argentina fights to stay in the World Cup, soccer legend and party gnome Diego Maradona appears to be fighting to stay on our earthly plane. He set the tone with some unpleasant and perhaps nonconsensual pre-game dancing. During his country’s anthem he was restrained by minders who either wanted to display their affection or just didn’t want to see him topple over the low barrier. 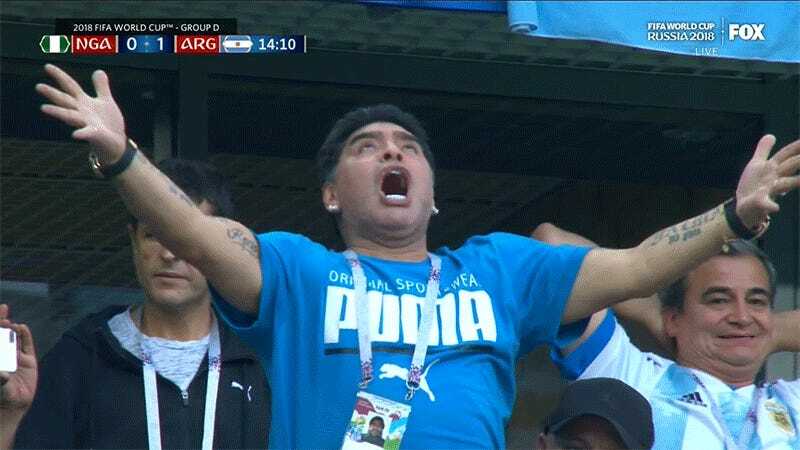 After Lionel Messi scored to put Argentina up 1-0, Maradona did not look long for this world. This man is not well.